If you spent any time on the internet over the past couple of months, you have no doubt witnessed (and probably participated in) the debate over "the dress". For those who have no idea what I'm referring to, a quick Google search will bring you up to speed. To summarize, a Tumblr user posted a photo of a formal dress that she was wearing to a wedding. The image quickly went viral as a dispute erupted over what color the dress was: some believed it to be black and blue, others saw it as gold and white. Numerous neuroscientists and psychologists weighed in on the optical illusion, attempting to explain why there was such a disparity in what different people were perceiving. Within 12 hours, the photo had been tweeted over 400,000 times and received more than a million shares across social media. Soon, nearly everybody had developed an opinion about the color of the dress -- and everyone thought he/she was right. People began to refer to the phenomenon as "Dressgate", illustrating juts how polarized the discussion had become. Shareability of this magnitude is something that every content marketer dreams of. Business owners and marketing professionals are constantly trying to create content that will be popular among web users and help them to build a greater following and, in the process, gain new clients. What made "the dress" worth sharing? Here are the top four qualities of shareable content. People are more likely to read and share content that is aesthetically appealing, or that has an attention-grabbing headline. In the case of the dress, articles with headlines like, "What color is this dress?" alongside a photo of the item were sure to attract readers: they inspired curiosity and encouraged people to comment with their own opinions. In looking at the photo, most people thought something along the lines of, What other color could it be?! Thus, readers were inclined to click on the article and see what all the fuss was about. When writing content for your blog or social media pages, think about what might draw the attention of your target audience. Give each post a snappy title -- something that you know will be interesting to your followers -- and include an image that is visually pleasing, humorous, or which otherwise influences people to open the link. With so much information to sort through, internet users are increasingly more selective about what they read. Find a way to make your content stand out among the rest. Okay, so maybe the dress wasn't totally relevant to the millions of people who weighed in on it (although you could say that everyone loves optical illusions or arguing with their friends and family members). But when it comes to marketing content, it's important to create material that is timely and relatively specific to the industry or customers that you're targeting. What is relevant might change depending on where you share your content. Ultimately, you want to give the people what they're searching for. If you're posting content to your website, consider what it is that visitors might be seeking. Perhaps they have questions about your company and are looking for answers. Maybe they stopped by your site to see photos and testimonials from past jobs. You can develop some great web content by responding to FAQs or providing details from other work that you've done. Even so, the most shareable content, especially on social media pages, is that which elicits an emotional response -- tears, laughter, fascination. In the case of the dress, part of the draw was that it was genuinely confusing to people. You can intersperse your education material with posts that are a little on the lighter side, like news about your company or employees, or a funny story or joke related to your industry. Let's face it: people love to argue. And when somebody posts something that can easily be refuted, or for which there is no correct answer, most internet users will take the bait and offer up their own perspective. Even celebrities got involved in the grand debate over what color the dress was, which only added to the content's shareability. It might be difficult to come up with something as polarizing as the dress, but if you have a topic that you know will draw discussion, write about it! These posts are much more likely to be shared on various social media channels, both for the sake of social validation and because users will want to know what others have to say about it. Even if what you've written is interesting and engaging, if it's not well-organized, many people won't even bother to read it. Make the information concise and scannable, so that readers can immediately find whatever details they're looking for. It's helpful to break up the material into smaller sections, with headings and bolded keywords or phrases. Use a font that is easy to read, and provide bullet points, if applicable. Most importantly, both for readability and SEO, you should follow the standard "h1, h2, h3" structure for your headline and sub-headlines, using titles that supply specific details about what that section contains. All of this will improve web optimization and make your content more shareable. 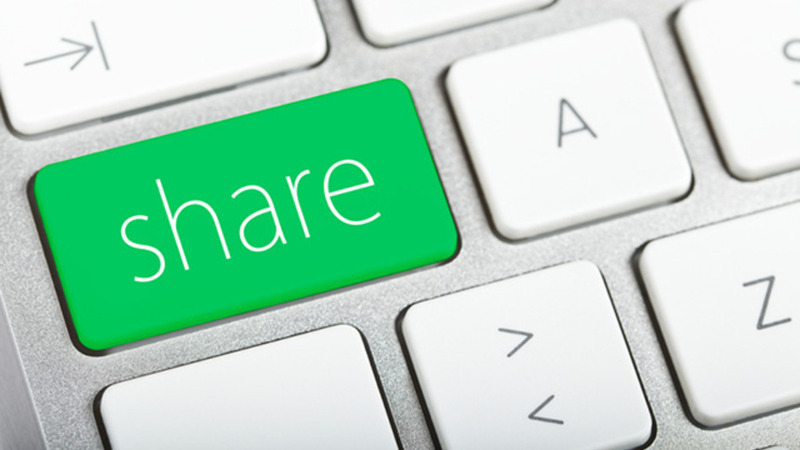 Have more tips on creating shareable content? Post a comment below!